Background Drug-drug interactions (DDIs) are one of the main causes of adverse reactions related to medications, being responsible for up to 23% of hospital admissions. However, only a few studies have evaluated this problem in elderly Brazilians. Objectives To determine the prevalence of potential DDIs (PDDIs) in community-dwelling elderly people in Brazil, analyse these interactions with regard to severity and clinical implications, and identify associated factors. Methods A population-based cross-sectional study was carried out involving 2143 elderly (aged ≥60 years) residents of the metropolitan area of Sao Paulo, Brazil. Data were obtained from the SABE (Saúde, Bem estar e Envelhecimento [Health, Well-Being, and Aging]) survey, which is a multicentre study carried out in seven countries of Latin America and the Caribbean, coordinated by the Pan-American Health Organization. PDDIs were analysed using a computerized program and categorized according to level of severity, onset, mechanism and documentation in the literature. The STATA software statistical package was used for data analysis, and logistic regression was conducted to determine whether variables were associated with PDDIs. Results Analysis revealed that 568 (26.5%) of the elderly population included in the study were taking medications that could lead to a DDI. Almost two-thirds (64.4%) of the elderly population exposed to PDDIs were women, 50.7% were aged ≥75 years, 71.7% reported having fair or poor health and 65.8% took 2–5 medications. A total of 125 different PDDIs were identified; the treatment combination of an ACE inhibitor with a thiazide or loop diuretic (associated with hypotension) was the most frequent cause of PDDIs (n=322 patients; 56.7% of individuals with PDDIs). Analysis of the PDDIs revealed that 70.4% were of moderate severity, 64.8% were supported by good quality evidence and 56.8% were considered of delayed onset. The multivariate analysis showed that the risk of a PDDI was significantly increased among elderly individuals using six or more medications (odds ratio [OR] 3.37) and in patients with hypertension (OR 2.56), diabetes mellitus (OR 1.73) or heart problems (OR 3.36). Conclusions Approximately one-quarter of the elderly population living in Sao Paulo could be taking two or more potentially interacting medicines. 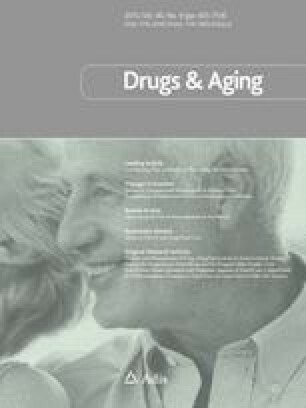 Polypharmacy predisposes elderly individuals to PDDIs. More than half of these drug combinations (57.6%, n=72) were part of commonly employed treatment regimens and may be responsible for adverse reactions that compromise the safety of elderly individuals, especially at home. Educational initiatives are needed to avoid unnecessary risks. This study was supported by the Fundação de Amparo à Pesquisa do Estado de Sao Paulo (FAPESP; Sao Paulo, Brazil). FAPESP provided a research scholarship for Silvia-Regina Secoli. The Conselho Nacional de Pesquisas (CNPq; Brasilia, Brazil) provided a research productivity grant to Jair Licio Ferreira Santos. The authors have no conflicts of interest that are directly relevant to the content of this study.